Fits the current sized Look Books! Has 2 additional pages to accommodate the fold-outs or old "looks". Keep your Look Book sparkling new for the entire quarter with the New Enhancer. 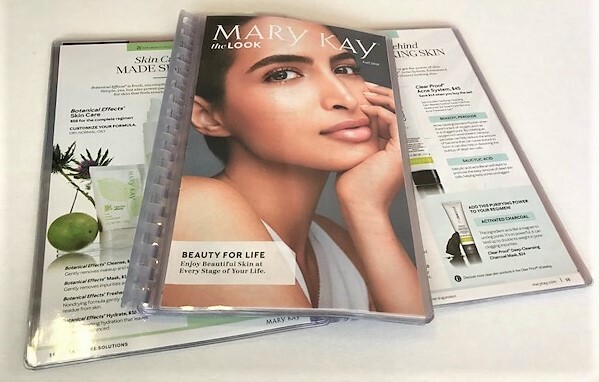 Just trim off the Look Book spline and slide the pages into the protector sheets and you’re set until the next quarter’s Look Book comes out. Save the four new “looks” that come out each quarter and put them in a second Enhancer to create a “Book of Looks".